This stunning view of Bacharach is just one of the many spectacular vistas you'll revel in on your Rhine River Cruise. Photo: © German National Tourist Office. Unauthorized use is prohibited. Throughout history, the allure of the Rhine Valley in Germany has captured the imaginations of poets, composers, writers, painters alike—Lord Byron, Turner and Wagner—among others whom have left their imprints upon the cultural fabric of the valley as they traveled through this land resplendent in visual romance and steeped in legend and lore. I have long wanted to visit the majestic Rhine River valley lined with spectacular castles, terraced vineyards and storybook villages punctuated by bell towers and church spires. 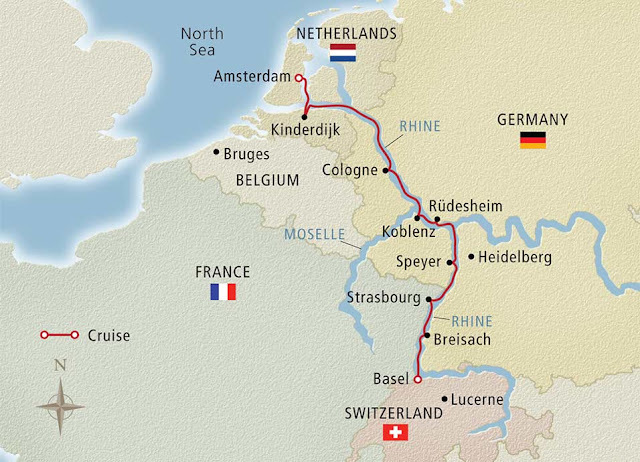 Well, the wait is over and this September, I set sail with Viking River Cruises on the Rhine Getaway voyage from Amsterdam to Basel; through four countries our intrepid Viking Longship will ply the currents of this 766-mile-long river that flows from the Swiss Alps to the North Sea. As much as this will be a journey in the present, it will be a voyage to the past as I connect with the cultures and discover the rich heritage of this storied valley and its inhabitants therein. Perhaps I too shall be inspired like those who have come before. The Viking Freya Longship as seen on the Rhine River in Germany. Photo: ©Viking Cruises. Unauthorized use is prohibited. 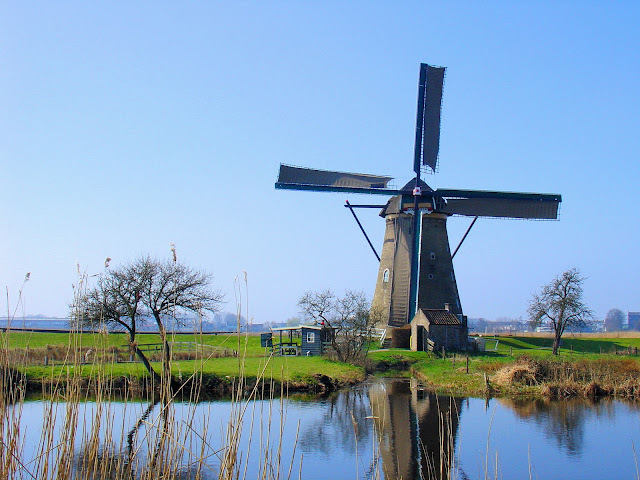 Our "Rhine Getaway" itinerary with Viking River Cruises begins in Amsterdam and continues to Basel, Switzerland, but you can book the inverse from Basel to Amsterdam as well. Either way, the Rhine Getaway remains one of Viking's most popular cruises. 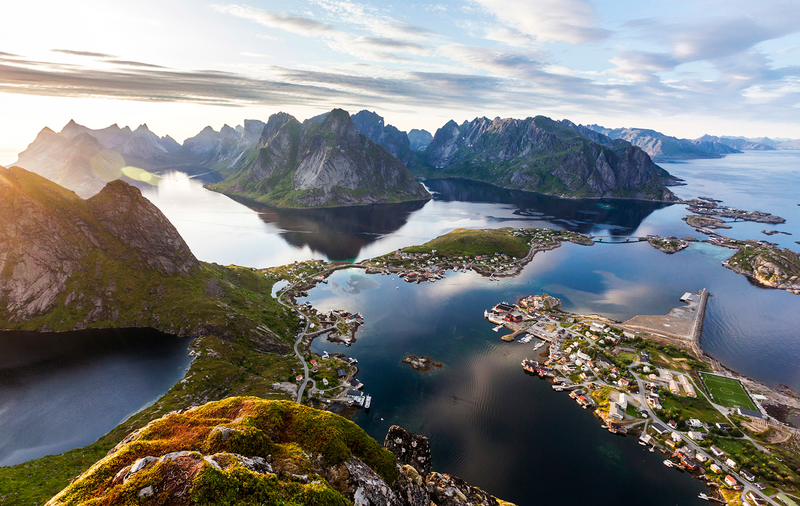 Image: ©Viking Cruises. Unauthorized use is prohibited. With double joy wert thou with me. Lord Byron, from "Childe Harold's Pilgrimage" pub. 1812-1818. Since its publication in the early 19th century, Byron's "Childe Harold's Pilgrimage" continues to influence tourism in the region. When it was first published, it became the definitive "visitor's guide" especially for British tourists who carried this book with them along their travels. But it wasn't only Byron who was inspired by the Rhine. 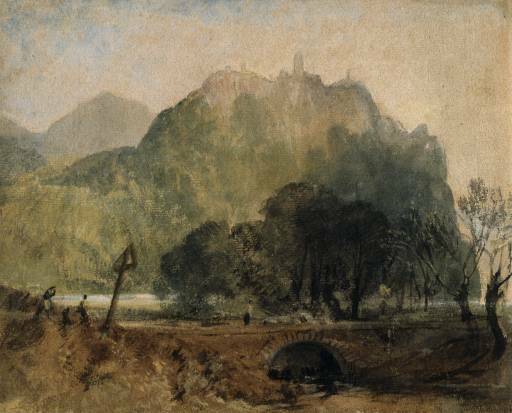 William Turner's "Drachenfels from Rhine" or "Dragons Rock on the Rhine," painted in 1817, depicts a rock formation and the vestiges of a 12-century castle just south of Cologne. Photo: © Tate Museum UK. Unauthorized use is prohibited. Charming house boats line the Herengracht or Gentlemen's Canal as well as most of the waterways throughout Amsterdam and are often dressed to the hilt with flowers and greenery. Photo: © EuroTravelogue™. Unauthorized use is prohibited. As I mentioned above, our Rhine-River voyage begins in the city of Amsterdam with its charming canals, gabled Dutch architecture, renowned museums filled with the work of the Dutch masters, the Anne Frank House—a poignant reminder of the scars of World War II, "coffee houses," the infamous Red Light District, Rembrandt's Westerkirk—to name just a few (or a lot). 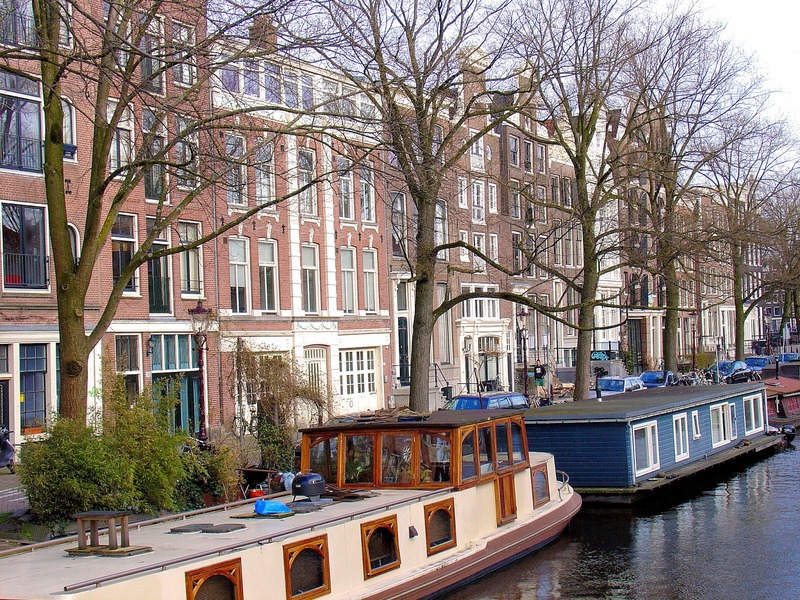 That afternoon, we'll make our way to the Port of Amsterdam and climb on board our intrepid Viking Mani longship that will convey us on this magical voyage to the fabled Rhine River Valley. Welcome to the Kinderdijk windmill complex in the Netherlands. Photo: © EuroTravelogue™. Unauthorized use is prohibited. I am really excited for Day 2 and for what will be my second visit to Kinderdijk (kinder-dike) or “child’s dike” and its network of windmills located on the Alblasserwaard “polder” (reclaimed land) from the North Sea. Declared a UNESCO World Heritage Site in 1997, Kinderdijk dates back to the 13th century when Dutch villagers needed a viable solution to combat the ongoing threat of North Sea floods, most notably "Elizabeth’s Flood" of 1421 which devastated the lands and claimed the lives of thousands. The picturesque complex comprises 19 working mills all of which were built in the latter part of the 18th century, save one from 200 years earlier. Originally designed and constructed to pump water from the surrounding countryside into the adjacent 15th-century canals, the Kinderdijk mills no longer have to work as hard with the advent of modern technology managing most of the water management today. The entire setting is quintessential Holland at its best! The "Cat in the Cradle" fairy tale can trace its roots back to Kinderdijk, back to the days following Elizabeth's Flood in 1421 when one of the villagers returned to salvage anything he could find. As the legend goes, he discovered a tiny baby floating inside a cradle and was astonished by how remarkably dry it was thanks to a cat whose jumping back-and-forth momentum rocked the cradle enough to keep out the water. It is in honor of this child for which the Kinderdijk complex takes its name, and today, these "windmill cats” are revered and protected throughout Holland. Celebrating Oktoberfest in Germany. Photo: © German National Tourist Office. Unauthorized use is prohibited. It just so happens that I picked one of the best times of the year to visit Germany not only because it's autumn, but with autumn comes Oktoberfest! 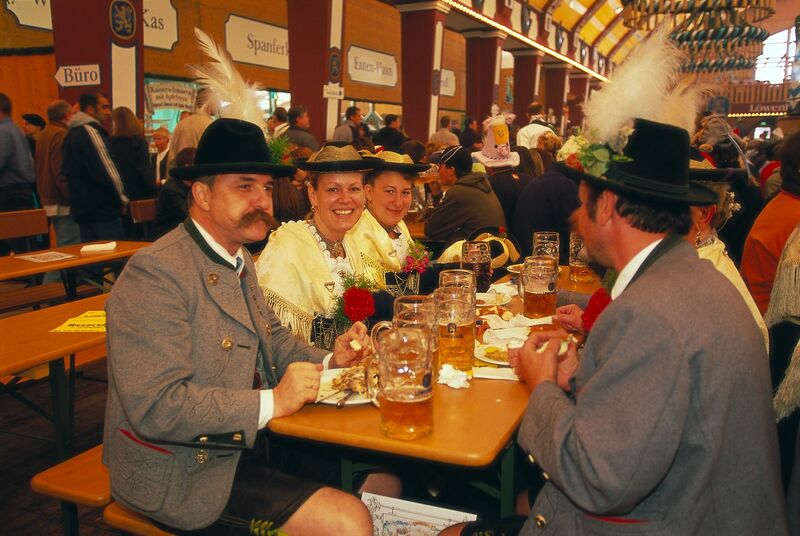 Although I am not much of a beer drinker, perhaps it's because I never tasted an authentic German beer in Germany, but I sure do plan on indulging and living like a local for the most of that week in all of the cities we'll visit! Wonder how I would look in lederhosen? Prost! Photo: © German National Tourist Office. Unauthorized use is prohibited. A stunning feat in Gothic architecture, the Cologne Dom dominates this view along the Rhine River in Germany. Photo: © EuroTravelogue™. Unauthorized use is prohibited. Day 3 of our voyage brings us to the historic city of Cologne, Germany. 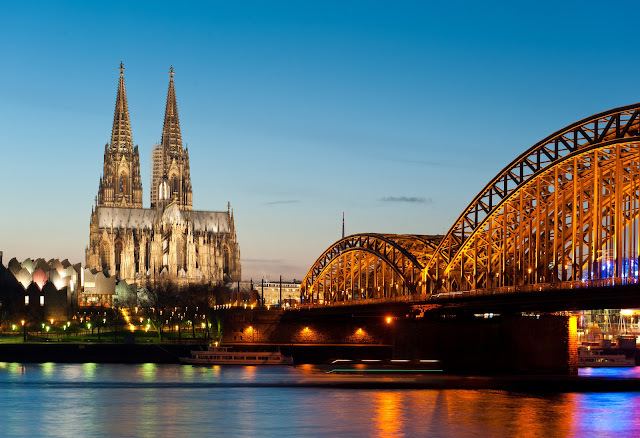 Dominating its skyline, the unmistakable Cologne Cathedral or Dom has been standing guardian over this "jewel of the Rhine" for a nearly a millennia. Since the second half of the sixth century, a church has stood upon this sacred ground and reconstruction after reconstruction gave rise to the Gothic cathedral whose construction began in 1248 and continued through 1880. More recently, it was practically the lone survivor after World War II decimated its surroundings. I am really looking forward to exploring this renowned landmark from the inside out and will even climb up 509 steps of the South Tower for jaw-dropping views! Of course we'll sample some of the Kölsch brew culture; visit the world's oldest perfume factory—Duftmuseum or the Fragrance Museum, home to Eau de Cologne 4711; the Römisch-Germanisches (Romano-Germanic) Museum for a journey back in time through the last 2,000 years to when the Romans occupied Colonia and for a glimpse of the Dionysus Mosaic dating back the third century; and finally an Art Odyssey to the Wallraf-Richartz Museum, Cologne's oldest, to discover art through the ages from the 14th to 20th centuries including Dürer, Degas, Cezanne, Rembrandt—among others. A little inspiration from Bulwer-Lytton in his "The Pilgrims of the Rhine"
On leaving Cologne, the stream winds round among banks that do not yet fulfil the promise of the Rhine; but they increase in interest as you leave Surdt and Godorf. The peculiar character of the river does not, however, really appear, until by degrees the Seven Mountains, and “The Castled Crag Of Drachenfels” above them all, break upon the eye. 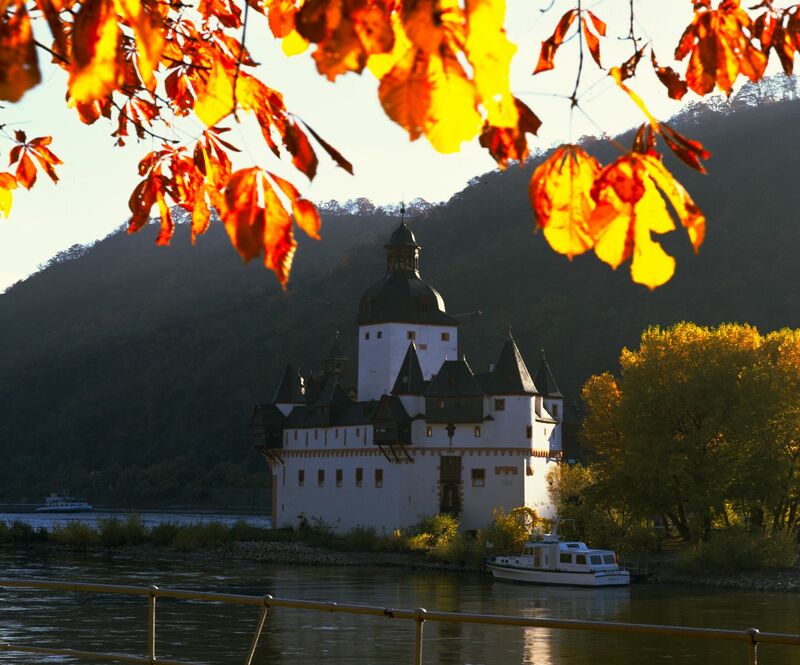 The formidable 700-year-old Marksburg Castle rises above the town of Braubach where the Mosel meets the Rhine. Photo: © German National Tourist Office. Unauthorized use is prohibited. It's Day 4 and we sail to the Marksburg Castle, a 700-year-old fortress named after Saint Mark rising boldly above the town of Braubach where the Mosel meets the Rhine. 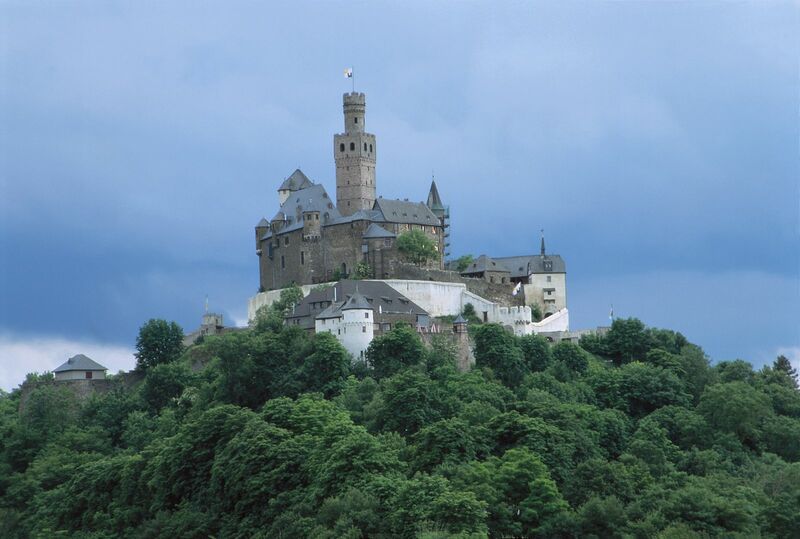 The Marksburg Castle is the only Rhine fortress that has never been destroyed since completion. Undoubtedly, the adjacent museum will be a fascinating journey through the castle's history! The Stolzenfels Castle in Koblenz against the backdrop of the Rhine. Photo: © German National Tourist Office. Unauthorized use is prohibited. 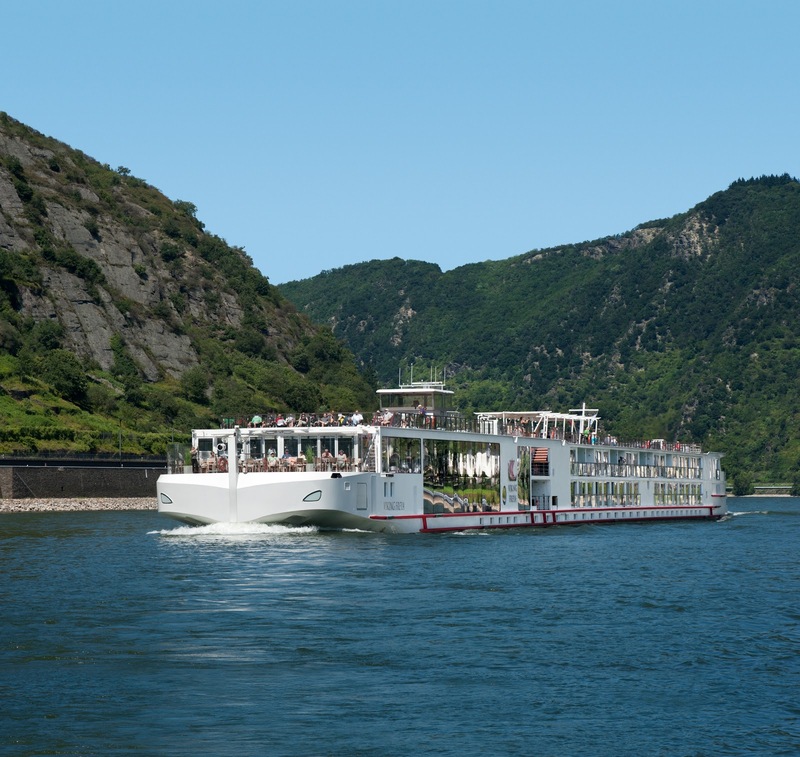 Back on board for lunch and then we'll cruise through a remarkable stretch of the Rhine that boasts the highest concentration of castles than any other river valley in world. This Middle Rhine or Romantic Rhine passage is now a UNESCO World Heritage Site filled with dramatic fortresses towering above the river ranging from vestiges of former glory days to spectacular and well-maintained edifices, many of which are hotels today. The Stolzenfels Castle in Koblenz, Germany. Photo: © German National Tourist Office. Unauthorized use is prohibited. Katz Castle near Saint Goarshausen, Germany. Photo: © German National Tourist Office. Unauthorized use is prohibited. Mystery and intrigue surround this perilous bend in the Rhine near Saint Goarhausen, Germany. As was told in tales of old, a forlorn maiden suffering from unrequited love, jumped to her death from high atop the cliff. Upon her descent, she was transformed into a nymph who haunts this passage with her captivating song luring many an unwary sailor and crew to the treacherous waters swirling beneath the gorge. 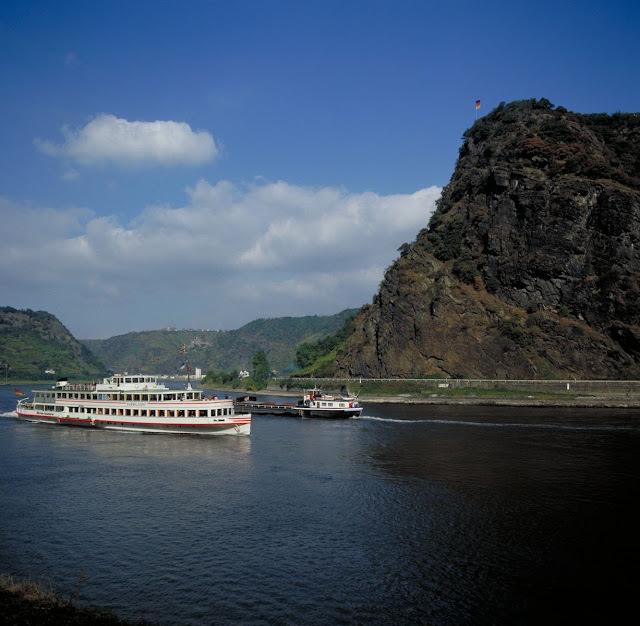 Just south of Saint Goar, the legend of the Loreley is regaled by sailors young and old. Photo: © German National Tourist Office. Unauthorized use is prohibited. As Heinrich Heine regaled in his "The Loreley"
What done by the Loreley. 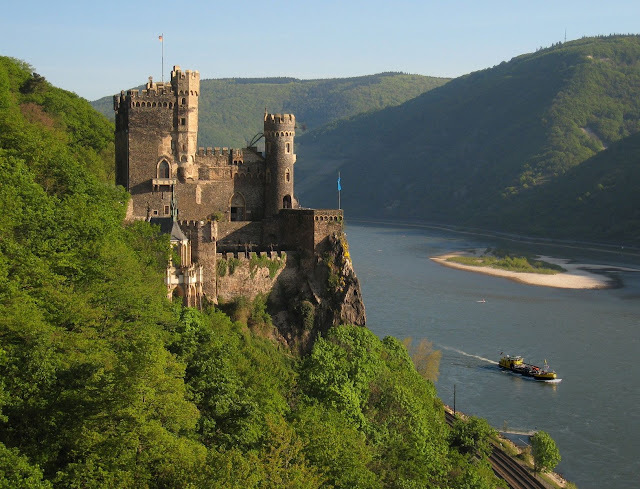 Loreley lurks above the Rhine River valley in search of her lost long love. Photo: © German National Tourist Office. Unauthorized use is prohibited. 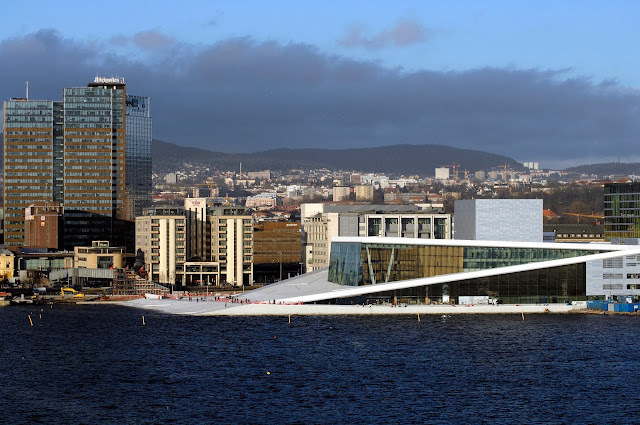 Richard Wagner too was inspired by the legends and set the stage in his first opera here, "Der Ring des Nibelungen." The story opens beneath the surface where we meet three Rhine maidens protecting a trove of gold. Castle Pfalzgrafenstein near Kaub, Germany. Photo: © German National Tourist Office. Unauthorized use is prohibited. Countless artists have been equally inspired by the romance and mystery of the Loreley and the calamitous end for many a sailor. In fact, many wrecks have indeed occurred in this bend in the river due to the strong current and jagged rocks lying beneath the surface, hence giving rise to the myth. Fear not river cruisers, your riverboat captain knows the way to guide his passengers safely through to the other side. 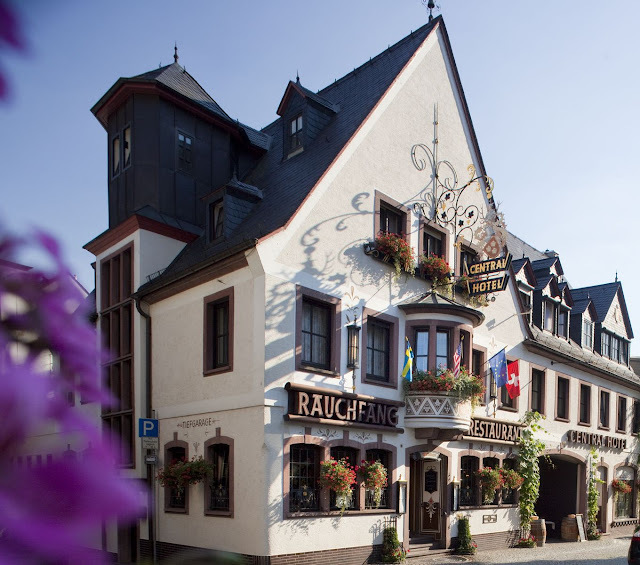 The charming Central Hotel in Rüdesheim, Germany. 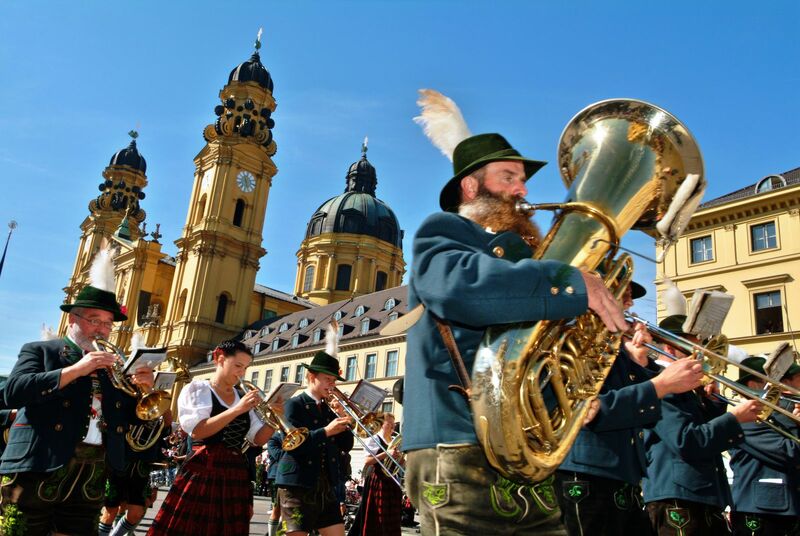 Photo: © Central Hotel and the German National Tourist Office. Unauthorized use is prohibited. After what I am sure is going to be an awe-inspiring voyage through the Middle Rhine, we arrive in Rüdesheim in late afternoon. This region is renowned for its wine production so I am sure wine tasting will be the order of the day. We'll hop on board the funicular and ride to the top of the Rheingau hills to admire the Niederwald Denkmal Monument constructed to commemorate the founding of the German Empire in 1871. The structure features a bronze statue of Germania standing tall atop her pedestal flanked by personifications of "Peace" and "War." Below the trio is a bronze relief of Wilhelm I and his army brigade. We'll stroll back down the hills to the pedestrian-only Drosselgasse for some cultural immersion. The Rheinstein Castle in Rüdesheim, Germany. 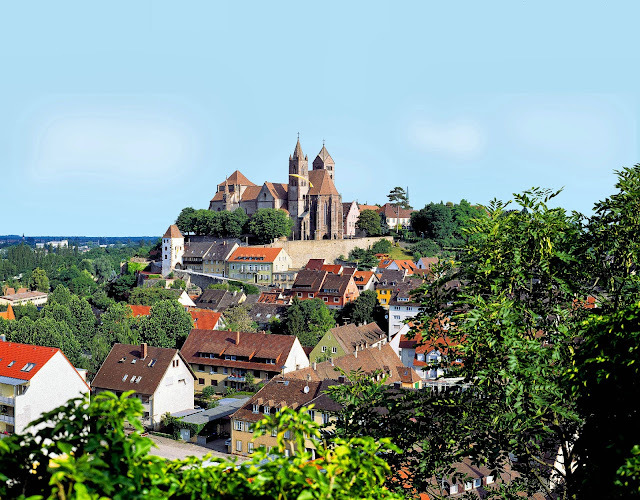 Photo: © Ruedesheim Tourist AG. Unauthorized use is prohibited. 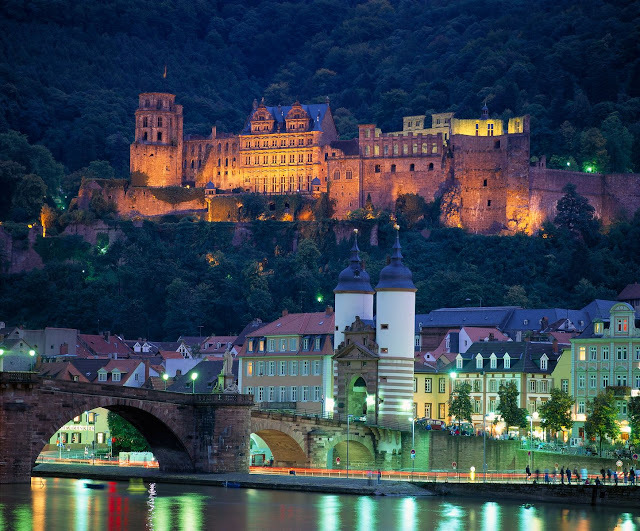 Rising 200 feet above the city, the Heidelberg Castle dates back to the early 13th century. Photo: © German National Tourist Office. Unauthorized use is prohibited. On Day 5, we dock in Mannheim and depart on a tour the city of Heidelberg. Nestled between the Neckar River and the foothills of the Odenwald Forest, Heidelberg's main attraction is of course its eponymous castle perched 200 feet above the rooftops of the charming Renaissance buildings of the city. Dating back to the 13th century, the castle has undergone many a transformation to arrive at the palace we see today. After a tour of the mighty fortress, we'll visit Germany's oldest university founded in 1386. The Romanesque Speyer Cathedral dates back to the 11th century and is the final resting place of eight monarchs. Photo: © German National Tourist Office. Unauthorized use is prohibited. We rejoin our ship in Speyer that afternoon to explore the 11th-century Romanesque cathedral, the final resting place for eight Salian, Staufer and Habsburg emperors and kings, four queens and a number of bishops. Notre Dame de Strasbourg in the heart of the historical city center. All photography ©Brian Jannsen Photography. Unauthorized use is prohibited. 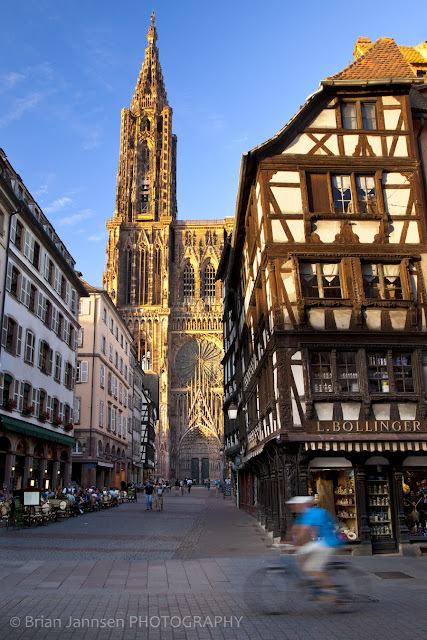 Dreams do come true in Strasbourg, at least for me in this visit to the Alsatian city in Eastern France and I will finally have my chance to explore the quaint medieval architecture of this storybook village on the Rhine. The capital of Alsace and the seat of the European Parliament, Strasbourg is the oldest city in this region of France and steeped in both French and German heritage. At its heart is the Grande Ile, a UNESCO World Heritage Site, and towering above the medieval half-timbered buildings is the striking Notre Dame de Strasbourg, a spectacular cathedral begun in 1015 and completed more than 400 years later in 1439, despite its absent bell tower. We'll also visit Parliament among the other sights that will undoubtedly complete what will be one of the highlights of my entire river cruise. After dinner, we'll spend the evening exploring nearby Kehl, Germany. Saint Stephan's Cathedral in Breisach, Germany. Photo: © TI Breisach. Unauthorized use is prohibited. 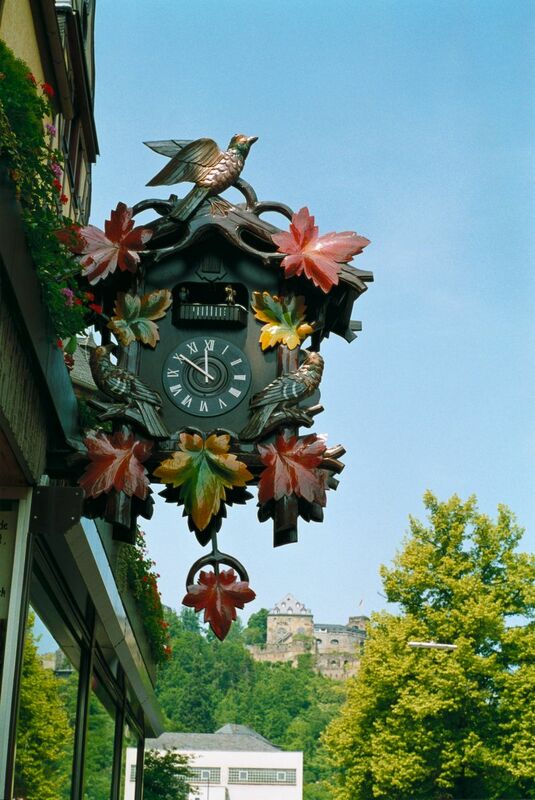 On day 7, we arrive in Breisach in the morning for a scenic tour through Germany's Black Forest and then attend a cuckoo-clock-making demonstration—a cultural immersion into the rich heritage of this celebrated German tradition. 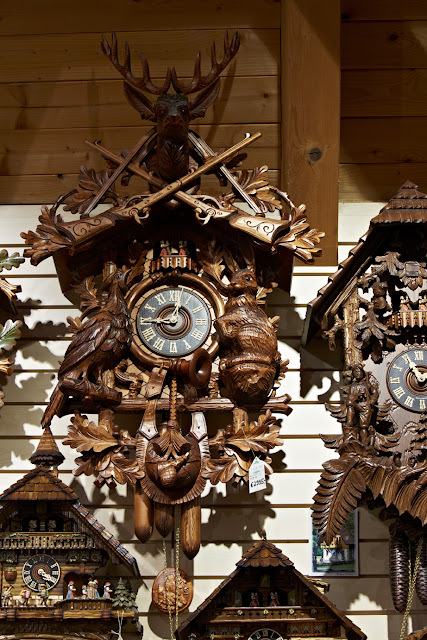 More cultural immersion—I am really looking forward to learning about the German tradition of cuckoo-clock making from the artisans themselves! Photo: © German National Tourist Office. Unauthorized use is prohibited. Perhaps I'll bring home of these authentic Germany cuckoo clocks! It's time! (pun intended). Photo: © German National Tourist Office. Unauthorized use is prohibited. The Schwendi Fountain in the town square in Colmar was created by sculptor Frédérick Bartholdi who also designed the Statue of Liberty in New York Harbor. All photography ©Brian Jannsen Photography. Unauthorized use is prohibited. In the afternoon, I'll embark on an optional excursion to Colmar, France, another Alsatian village that I have wanted to visit for years. Located in the southern part of the Alsace region, this picturesque village will enchant and delight, I just know it! 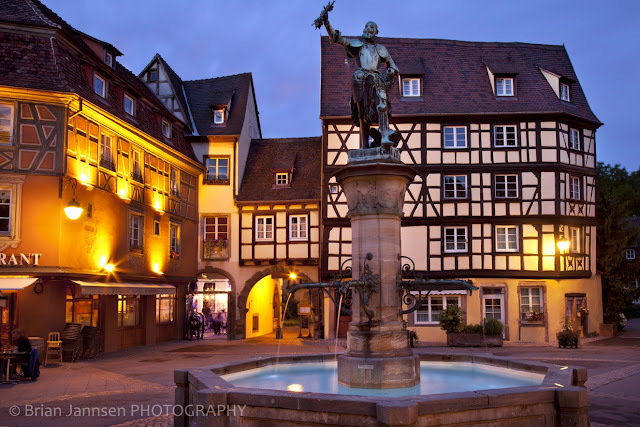 Colmar is also the birthplace of Frèdèrick Bartholdi, the designer of New York's Statue of Liberty and the Schwendi Fountain located in the Alsatian village. Exquisitely maintained and ridiculously charming half-timbered houses are the norm here, and weaving their way through the medieval streets are the canals of the River Lauch transforming Colmar into "Petite Venise" or Little Venice. 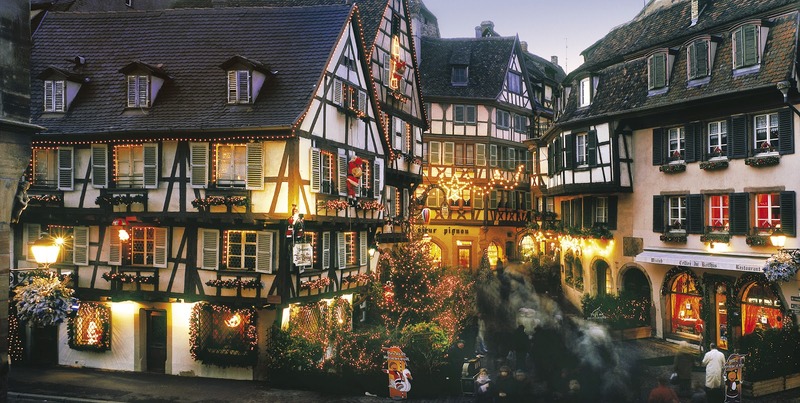 If you visit Colmar during the holidays, you'll find Christmas enchantment abounds along Rue des Marchands. Photo: © CRTA - Zvardon. Unauthorized use is prohibited. And so we bid farewell to this voyage on the legendary Rhine River, a journey to the past and present in a land of inspiring tales, rich in heritage and tradition, and filled with visual romance of Germany. Starting September 25, please follow along right here as well as on Facebook, Twitter and Instagram for live updates from my Rhine Getaway river cruise. Now, see Viking River Cruises' "Rhine Getaway" for yourself! What a fabulous journey you have before you! I've got the Rhine and surrounds in the works myself this autumn; although not a cruise (though by the looks of it... sigh!). What perfect timing Sophie. When will you be in the region? Perhaps we could meet up. Thanks so much for stopping by and sharing your thoughts!! Oh you lucky creature! It would be a lovely cruise for sure and you'll show us all you've seen! Can't wait! Thanks so much my friend, but I get more joy out of sharing my experience with all of you! And, I can't wait for my deeper immersion into Germany, a country I have wanted to explore for years. Thanks so much for stopping by! Wow, this looks incredible. Every phase of the trip screams awesome. That is phenomenal that your timing of the cruise corresponds with Oktober Fest. I will definitely be following along for this one. Hey there Ted! You know, we almost opted for the Christmas markets but since we've done the Danube at Christmas, I really wanted to see Germany in the fall and experience another side of their culture. Although I am not much of a beer drinker, I just may become one after this trip. Thanks so much for stopping by!! Wonderful account of this cruise. I never knew what it offered and now I know. I may do this river cruise. Thanks for sharing. Hi Debbie. Glad you liked it! Be sure to tune in starting Sep 25 for the full report. Thanks so much for stopping by and for your kind words. My mother is full on German so the country holds a special place in my heart. I took a very similar cruise here when I was a kid, one of the few things I remember vividly as an adult! Hi there my friend from ROME!! Sounds wonderful!! I have never been to this region before and am beyond excited!!! 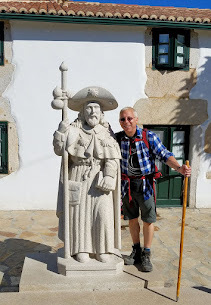 Thank you so much for stopping by and sharing your travelogue too!! What an amazing itinerary, Jeff. I just love all the romantic Rhine River lore and mythology. The photos are stunning, I can't wait to see yours! Oh Lesley, I couldn't agree with more! And special thanks to my friends at Germany Tourism for many of the photos above. I really can't wait for discover all of it in 2 weeks. Thanks so much for stopping my and sharing your kind words!